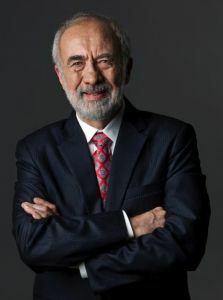 Benny Landa, chairman and CEO, Landa Corp.
SOUTHBOROUGH, MA—April 2, 2015—Printing Industries of New England - PINE will be hosting its annual Awards Gala at the Boston Marriott Newton on April 16, and one of the highlights of the evening will be the presentation of the PINE Industry Influencer Award to Benny Landa, visionary inventor, said to be "the father of digital commercial printing." The Influencer Award, sponsored by Heidelberg USA since 2003, honors the contributions of an individual whose vision and energy have impacted the printing industry in a profound and indelible way. It recognizes the entrepreneurial spirit and foresight to create new business models, develop market shifting technologies and improve our industry in a permanent and sustained manner. The Industry Awards Gala will begin with a networking reception featuring the winning entries of the Awards of Excellence competition plus vendor display tables. The reception begins at 5 p.m. followed by dinner and awards at 7 p.m.
Pioneer of digital printing at Indigo (acquired by HP in 2002), now at Landa, Benny continues his visionary pathway—pioneering futuristic nanotechnology applications in the fields of imaging, energy and health. His vision for the future also includes investment in promising Israeli technologies and philanthropic activities that enable underprivileged youth to gain access to higher education. Benny has a portfolio of over 800 patents worldwide and is the printing industries and Israel's most prolific inventor. Recipient of numerous honors and awards, including the imaging industry's prestigious Edwin H. Land medal, he has also been awarded numerous lifetime achievement awards and honorary doctorates. To learn more about the PINE Industry Awards Gala, visit www.pine.org or call Christine Hagopian, director of programs, at (508) 804-4152. Source: Printing Industries of New England.